I use this mask overnight. My skin looks and feels more hydrated in the morning. I feel like my skin is glowing after I use this mask. No breakouts. I can’t wait to use it when the weather gets cold. This mask is wonderful. I have normal skin and this creamy mask was so soothing without being heavy or pore blocking. I let it sink in and left it on overnight and woke the next morning with the smoothest skin. I absolutely love the Restore Mask. 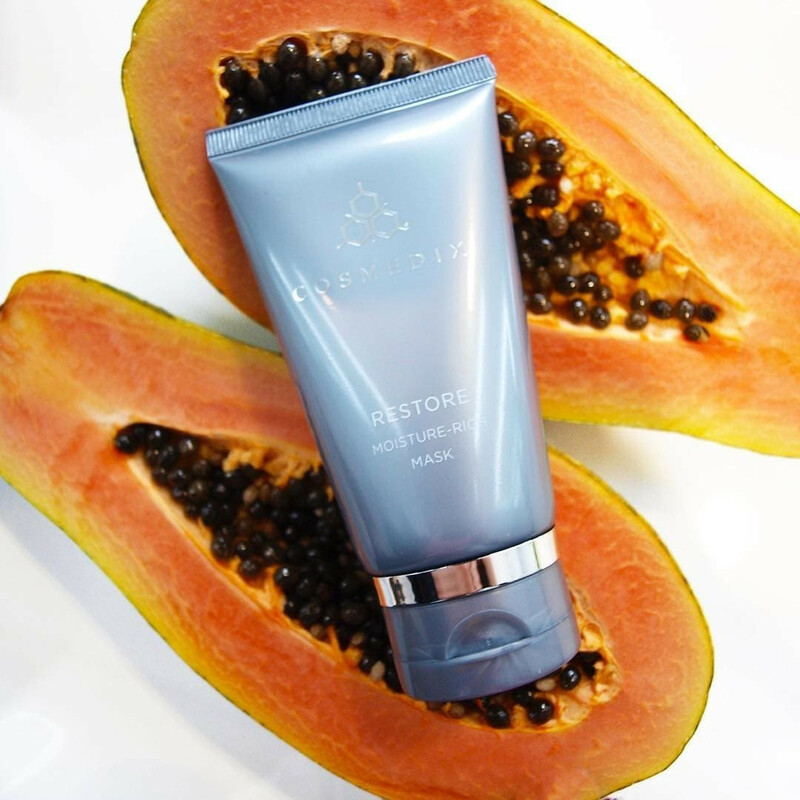 I have combination skin that was very dry in places and the Restore Mask put an amazing amount of moisture back in my skin. I also love the fact that it has a very pleasant scent unlike most masks. I have been amazed by the effect, particularly on my upper lip. I was developing those little indentations on my upper lip and twice daily applications have reduced this to an astonishing degree. I am hoping this will be cumulative and get better and better results over time. I have dry skin year round, but in the winter months my skin is really in for it. On top of that, I just returned from a tropical vacation where I spent all week in the sun. My face was peeling a little bit from getting too much sun so I used the Purity Detox Scrub in the shower. Immediately after, I towel-dried my face and applied a generous layer of Restore. It partially sunk into my skin but I noticed an IMMEDIATE difference in how my skin looked and felt. It was plump, hydrated and felt like baby skin. I will definitely continue to use Restore again and again. Awesome mask! I have horrible dry patches on my face and this is the only thing that worked! I leave it on overnight and my skin feels SOO soft and moisturized the next day! 100% would recommend. I am so happy I tried this mask. I was looking for something to provide moisture and this product was recommended to me. It not only smells amazing but feels like butter! The fact that I can sleep in it makes the experience that much better. When removed, your skin will feel soft and smooth. Definitely my favorite mask yet! This mask is perfect for the winter months when your skin needs a little extra TLC. I leave mine on over night - when I wake up, my skin is super refreshed! Love it! 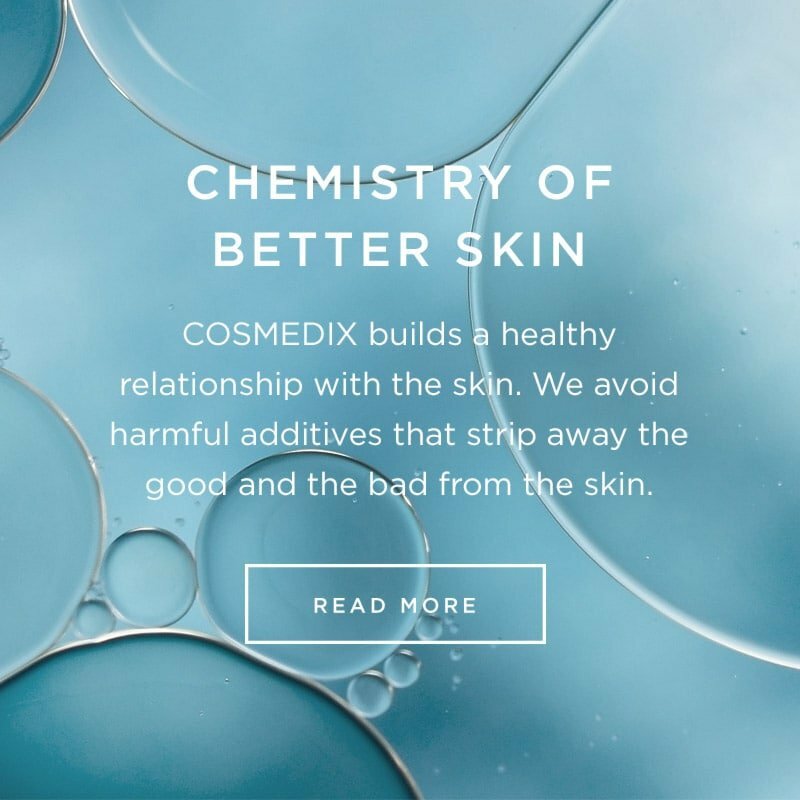 As a total skincare junkie and an avid Cosmedix user, I was anxious to try this new mask. The scent is amazing - it's very pleasant and has a citrus undertone from the essential oils. My skin was extra dry from the winter weather and I had been applying straight essential oils to it nightly to try to bring some hydration back. After one application of this new mask, my skin was glowing and felt smooth, soft and hydrated.